Ban Gioc waterfall is the most picturesque spot in Vietnam to visit on a Vietnam travel package. 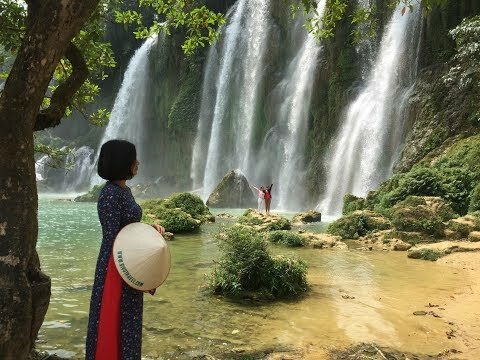 Located in Cao Bang and more than 300km from Hanoi, Normally, it takes 2 days to visit, but highly recommended to combine with Ba Be lake and Ha Giang to have a memorable trip of your lifetime. Vivutravel will help!